We present a broad range of the best audio components for enjoying the music you love. Our selection dedicated to sound reproduction include some of the highest performing products out there. We can design any 2-Channel system to fit every application, taste and budget. As if there weren't enough "apps" for your devices... now you can add home systems control. Imagine choosing music for your whole home audio system, adjusting the temperature, setting the mood with the right lighting, and making sure the security is armed... all from the palm of your hand. 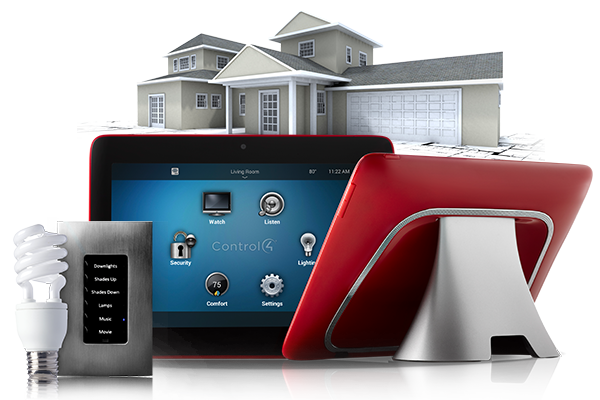 The same great Control4, Alarm.com, and Sonos systems that provide convenient control of your various home systems now integrate with any device. Yes, that means you can control your home from anywhere! Sit. Listen. Enjoy! Our state-of-the-art listening rooms are set-up in such a way to bring the listening experience to the edge. Stop by our showroom and learn more about our specials and demo some of the leading industry equipment.